Please join us to celebrate our 5th anniversary on Sunday, March 18th, 2018. 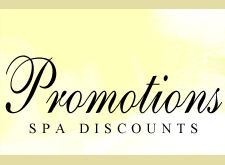 SPECIAL: 50% off all services all day from 9am to 7pm. Vina Nails and Spa will be increasing pedicure prices by $2.00 starting Friday, February 24, 2017. we will be adding the use of disposable single-use liner to our pedicure services. The liners help prevent the spread of bacterial, fungus, and infectious diseases associated with pedicure. This is an ultimate sanitized solution. However, with the cost of these liners, we are unable to maintain current pricing. We appreciate your understanding and continued patronage. Please join us to celebrate our 6th anniversary on Sunday, March 3rd, 2019. Purchase $50 or more worth of gift certificates, receive 10% off your purchase.